The terrorism of Isis and Al Qaeda and its possible developments. This is the title of a study, reached the second chapter, carried out by the group “Indomitables,” which traces the history of the two formations and the phenomena that led to their rise and fall, as well as the rebirth of the Phoenix. A new formation, which builds on the peculiarities of each of the two sides of the same coin: leadership, operational and logistical skills, and technology. This in order to recreate with every means, violent in the first place, the Caliphate abolished by Ataturk. This analysis, divided into chapters, intends to be a useful tool to understand the new terrorist form and to look for suitable instruments to contain and/or mediate the disruptive dynamics of Jihadism, covering various geopolitical areas and historical periods. Such developments represent a concrete danger for global security, in the West and elsewhere, and could unleash – as recently happened in New Zealand and Philippines – a full-fledged religious war with uncertain outcomes, and potential chain reactions leading to a spiral of violence of uncontrollable magnitude and difficult containment. Al Qaeda (the Base) was created by Osama bin Laden, who had established close relations with Hamid Gul, general of the Pakistani army and head of the ISI (Inter-Services Intelligence), turning the MAK into a Sunni Islamistic paramilitary structure controlled by the intelligence services of Pakistan and Saudi Arabia. Their ideological bond was rooted in the interweaving of the political ideologies connected to Jihadist extremism, inspired by Wahhabism (bin Laden) and the Muslim Brothers (Ayman al-Zawahiri and Abd Allah Yusuf Azzam). Abd Allah Azzam, the ideologist of the organization, encouraged and indoctrinated the Islamists recruited to fight for the establishment of the Global Caliphate, the old flagship of ISI and of the Pakistani military apparatus. In fact, the constitution of Al Qaeda was aimed at achieving this very objective. 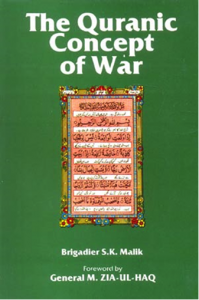 According to Azzam, the universal Caliphate had to be built through “the terrorist jihad” – a strategy indicated in Malik’s “Quranic Concept of War” – starting with the establishment of regional wilayats (provinces) as hubs to attract the neighboring countries. The expulsion of the Soviets from Afghanistan in February 1989 marked the beginning of a tumultuous period of governance in the country that triggered a civil war over power. The guerrilla warfare against the Russians – conducted at a local level by the “warlords”, with a sophisticated external support led by Pakistan and Saudi Arabia – continued with a fratricidal struggle between the various factions of Mujahidin who controlled 80% of the country and protected their respective clan interests. Furthermore, it resulted in the return of Al Qaeda’s various “Islamist legionaries” to their respective homelands. Once back home, the so-called “first generation of Qaedists” – that is, those who had fought in Afghanistan against the Russians – began to yearn for the establishment of the wilayats theorized by Azzam. d) the Abu Sayyaf group, created by the Filipino Abdurajak Janjalani, who had fought in Afghanistan. Osama bin Laden returned to Saudi Arabia in 1989, where he was welcomed as a hero – wise, hardened by his guerrilla experiences, although centered on more radical political and social opinions – for having liberated an Islamic country from Soviet atheists. There he resumed his activity as a contractor and the Saudi crown, in gratitude, granted several public and private contracts to his companies. The idyll with the Saudi Crown, however, did not last long. 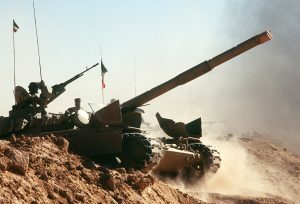 In August 1990, the Iraqi invasion of Kuwait stirred up Riyadh’s political component, exposed to a further Iraqi offensive. The crisis pushed Bin Laden to offer his assistance to the royal family, providing heavy vehicles from his own companies and rallying the “Arab legion” – former Saudi fighters against the Soviets in Afghanistan – to be deployed for a “Jihad” in Kuwait, without resorting to the help of the United States. His offer was rejected, and the deployment of U.S. forces on Saudi territory led Bin Laden to publicly denounce the complete military dependence of the Saud on the “infidels”. From that moment on, Osama harshly criticized the Saudi leadership for the presence of foreign troops in the “holy places of Islam”; an occurrence that divested the Kingdom of the legitimate right to guard the holy places, branding it as a regime that was betraying the Muslim people. So much so that, in 1991, the Saudi security organization subjected him to strict control in order to prevent him from joining the subversive anti-regime movement, formed in the wake of the American presence in Arabia. Nevertheless, bin Laden persisted in his subversive invectives and Riyadh forced him into exile in Sudan with his family (4 wives, 4 sons and one daughter). Between 1991 and 1996, bin Laden spent five years in Sudan, where he bought a three-story brick house with pink and beige stuccoes on Al-Mashtal Street, in the crowded Al-Riyadh district of Khartoum. During his stay in the country, with public works money, he bought a large plot of land in Soba, in the province of Gezira. 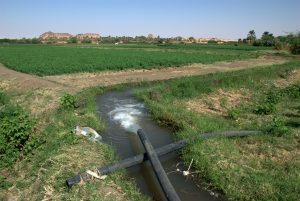 The property, which measured hundreds of thousands of hectares, was situated near the Blue Nile, 18 km from Khartoum, not far from the Ethiopian border. There he set up the Al-Damazin Farms, which included several farmhouses and a single-story mud house overlooking the western bank of the Blue Nile and that was considered his “spiritual retreat”. About 4,000 people worked there, with livestock and horses, growing white corn, sorghum, gum Arabic, sesame, sunflowers and peanuts. In February 1992, Mohamed Zeki Mahjoub, a member of the Muslim Brotherhood, was appointed to oversee it. In 1992, the Al-Damazin Farms became the operational base of the new Al Qaeda. According to a former business partner, bin Laden’s employees were a mixed group of mujahidin, who operated as company managers. From the testimony of a former member of the group, the 38-year-old Sudanese Jamal Ahmed Fadl, all the economic activity carried out by bin Laden was aimed at the constitution and expansion of a network of Islamist terrorist groups all over the world. This was directed by Al Qaeda, which distributed arms, money and objectives from its headquarters in the African country. Furthermore, the new group provided assistance to Islamists in Saudi Arabia, Algeria, Syria, Chechnya, Turkey, Eritrea, Tajikistan, the Philippines and Lebanon. 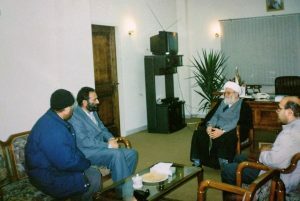 Fadl reported that, during one of the weekly meetings of Al Qaeda in Soba in 1992, “Abu Hajer al Iraqi” (alias of Mamdouh Mahmud Salim) issued a fatwah (a ruling on legal-religious matters issued by a Mufti, expert in the Koranic law), upon request of the leadership, against the United States “for having desecrated the holy cities of Mecca and Medina.” This fatwah was centered on a previous religious sentence carried out by Ibn Taymiyyah (alias Ibn al Tamiyeh), an influential and illustrious Sunni theologian of the Hanbali school (13th-14th century), whose doctrines were placed at the base of the Wahhabite movement in the first half of the 18th century. “A: He said that our time was similar to that of that time, and, according to Ibn al Tamiyeh, when the Tatars went to war with the Arabs, some Muslims from the Arab countries helped them in that occasion. 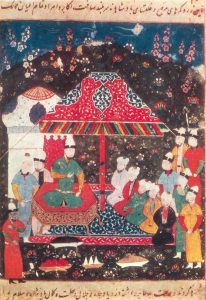 Ibn al Tamiyeh issued a fatwah saying that anyone who approached a Tatar, bought something from them, or sold them something, had to be killed. If, while attacking a Tatar, you kill someone else around him, even if he is not in the military, you don’t have to worry about that. If the other one who’s killed is a good person, he’ll go to heaven and if he’s bad he’ll go to hell.” Actually, Taymiyyah is considered the main inspirer of today’s Salafist movements because he justified the killing of Muslims, supporters of “Tatars” (Mongols), who threatened to invade the Mamluk Sultanate in Egypt. Therefore, it was also him who gave the go-ahead to the Jihadists to sacrifice the lives of other Muslims for their own cause. 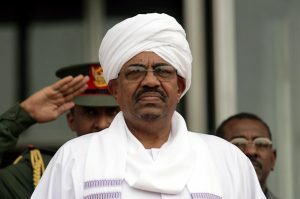 Sudan was, at the time, an Islamic regime inspired by the Muslim Brotherhood, which Ḥasan al-Turabi contributed ideologically to strengthen with the rise to power of Omar Ḥasan Aḥmad al-Bashir. Al Turabi had been a student at the Al Azhar University in Cairo, where he had followed Quranic studies and, in 1951, became a clandestine member of the Egyptian Muslim Brotherhood. In the mid-1970s, he returned to the country and devoted himself to fundamentalist politics, becoming a member of the Islamic Charter Front, a minor offshoot of the Sudanese branch of the Muslim Brotherhood. In the 80’s, he devoted himself to the search for a way to reconcile the Sharia with the legal requirements of a modern state, calling for a peace agreement between Sunnis and Shiites. 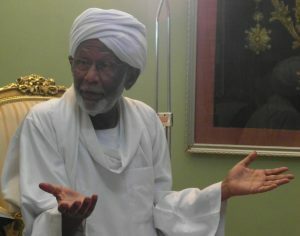 When General Bashir came to power, he invited Turabi to contribute to the Islamization of Sudan. The invitation led him to inform the Board of Directors of the International Muslim Brotherhood (IMB, an organization born in the 80’s within the Islamic Fundamentalist Movement) of the dictator’s intention In August 1989. Bashir met in London with the heads of the IMB, who decided to transform the nation into an operational and logistical base for the radical movements of the Islamic world, hosting Africans and Asians. This was in exchange for a generous financial assistance. For the development of the project, a committee of 19 members of the IMF was installed in Khartoum, chaired by Turabi, appointed as the responsible for Africa of the Islamic World Congress. The first Islamic World Congress was held in Jerusalem on December 7, 1931, in contraposition to Zionism – supported from 1917 onwards by Theodor Herzl – and to the Balfour declaration of November 2, 1917, an official document of the British government’s policy announcing support for the establishment of a “national home for the Jewish people” in Palestine. 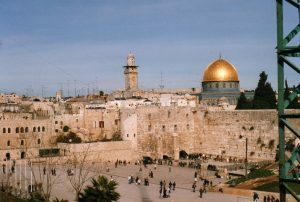 The Congress considered Zionism “an aggression detrimental to Muslim well-being, and that it is directly or indirectly ousting Muslims from the control of Muslim land and Muslim Holy Places”, wishing for the restoration of the Caliphate. During the following years, this congress was held with periodic meetings also in other countries. Khomeinist Iran was positively impressed by this initiative and, in the spring of 1992, an agreement was established between Turabi and Khomeini for the development of an Islamic revolution without distinction between Shiites and Sunnis. 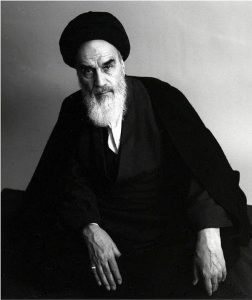 Khomeini offered his help to spread the Islamic revolution in the African area through the enrollment, training and coordination of new recruits for the various organizations dedicated to the Jihad under the guidance, control and management of Turabi, who had become an important representative of the International Muslim Brotherhood. Despite the theological differences between Shiites and Sunnis, the Ayatollah provided his support to the project, coining the theory according to which the national State is an entity that is not part of Islam and, therefore, it is not a suitable and effective instrument for its diffusion. As a consequence, the legitimate Islamic Authorities have the right to support, in the name of Islamic solidarity, any Islamic revolution anywhere the world. Turabi, in turn, maintained – on the basis of the doctrine of the Moslem Brotherhood – that the puppet regimes, established by the United States and its allies in the Middle East, were the real enemies and the real target of Jihad. 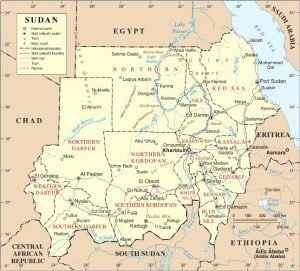 With the support of these theories, Sudan became the gathering and training area of the Armed Islamic Movement (AIM), better known as the International Legion of Islam. The structure had headquarters in Sudan, Pakistan and Afghanistan, where experts trained the new followers to conduct subversive, terrorist, clandestine (guerrilla) and military operations. Among them, Turabi also included Osama bin Laden – who excelled in his practical training – so that his farm near Soba became the training base for the new terrorist transnational corporation. The failure, in 1991, of the Bank of Credit and Commerce International (BCCI), which served as a hub for the financial supply of criminal groups and terrorists, took the cover structure away from the organization just constituted by Turabi. Khartoum, in order to foster its revolutionary activity, had to look for other methods of financing. Although the International Muslim Brotherhood had under its influence various credit institutions – the Islamic Holding Company, the Jordanian Islamic Bank, the Faysal Islamic Bank, the Shamal Islamic Bank in Sudan and the Taqwa Bank in Algeria, Switzerland and the Bahamas – a much more complex system was needed to sustain the AIM in order to avoid criminalizing the aforementioned credit institutions. 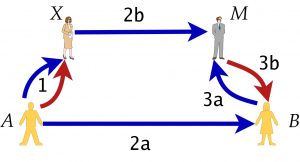 c) the “Brotherhood Group”, a business organization of about 130 very wealthy Gulf Arabs with which he established a complex financial system (Hawala), based on the relatives of his former Afghan combatants. He used it to subsidize the various terrorist networks that his friend, Aiman Al Zawahiri (Egyptian doctor and Muslim Brother), was establishing in various countries. The AIM also includes extremist organizations from Pakistan, Afghanistan and Kashmir: from Pakistani Jamaat e Islami to Afghan Hezb e Islami of Gulbuddin Hekmatyar, via Afghan Jamiat I Islami to Pakistani Hizb ul Mujahiddin. Turabi’s contacts with Pakistan – between 1991 and 1993 – also allowed the inclusion in the AIM of Pakistani organizations such as Jamaat e Islami, Hezb e Islami, Jamiat I Islami of Afghanistan and Hizb ul Mujahiddin of Kashmir. The first is a socially conservative, nationalist and Islamist political party based on the thinking of Maulana Syed Abul Aala Maududi. Its goal is the transformation of Pakistan into an Islamic state, under Sharia law, through a gradual legal and political process. During the first years of the rule of General Muhammad Zia-ul-Haq, it served as the regime’s ideological and political branch. 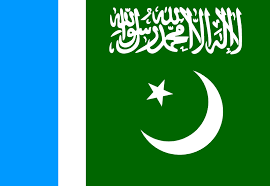 Since the early 1980s, it has also developed close ties with Jamaat-e-Islami Kashmir. The second is an Afghan political party founded in 1975 by Gulbuddin Hekmatyar, while the third (Islamic Association), created by Burhanuddin Rabbani and Ahmed Shah Massud, is one of the “Peshawar 7” groups. Hizb-ul-Mujahideen “Party of the Holy Warriors” or “Party of the Mujahidin” is a separatist militant organization founded by Muhammad Ahsan Dar in September 1989 in Kashmir with the support of the ISI (the Pakistani Secret Service), and is considered one of the most relevant actors of the conflict in the country. 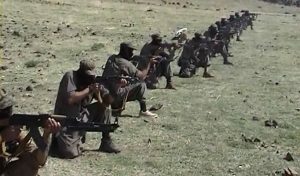 From 1991 to 1994, with the funds obtained by bin Laden both in Peshawar, Pakistan (under the control of the ISI), and in Soba, Sudan, new recruits were trained for the AIM, also by the Afghan veterans of Al Qaeda. Personally committed to spreading Islam in the African continent, Turabi, in the end, adopted and translated into practice the Khomeinist strategic projects for the export of the Iranian Islamic Revolution. However, Teheran – while leaving him free to lead the Sunni groups -maintained and exercised a strict and rigorous control over the Shiite groups. Luciano Piacentini – Commander of Operational Detachment and Company in the 9th Paratroopers Assault Regiment “Col Moschin” (SF-Tier 1) of the Italian Army with the rank of Lieutenant and Captain. Assigned to the Army General Staff, he subsequently commanded the “Col Moschin” Regiment. Later he held the position of Chief of Staff of the Paratroopers Brigade “Folgore”. Then he has worked in National Information and Security Bodies with assignments in different areas of the Asian continent. He is graduated in Political Science. Claudio Masci – Carabinieri Officer coming from the Military Academy of Modena. After having taken over the command of a territorial unit mainly engaged in the fight against organized crime, he passed through National Information and Security Bodies. He graduated in political science. Among his contributions, “Intelligence between conflicts and mediation” (Caucci Editore, Bari 2010), and “The future of intelligence” (April 15, 2012, Longitude, the monthly magazine of the Italian Ministry of Foreign Affairs). Pino Bianchi – Architect, expert in risk management, organization, process re-engineering and business management systems. For over twenty years he has conducted business, marketing, communication and organization activities in American and European multinational companies. Management consultant in ICT, marketing, communication, business planning and project financing. Claudio Masci and Luciano Piacentini – Authors of the article “The Future of Intelligence” (Longitude, April 15, 2012), and of the books “Intelligence between conflicts and mediation” (Caucci Editore, Bari 2010), and “Humint… this unknown (Function intelligence evergreen)”. Buy it from Amazon here. The operation Round Up has taken away from Dash 12 villages and 19 settlements. In the meantime Damascus launches the counteroffensive against the Islamic State in the Badiya desert. The maneuvers, although not officially, have already begun with drones flying and artillery at work. At Deir Ezzor, instead, the SAA have adopted a new tactic against Daesh at Mayadeen.